Fresh grapefruit contains approximately 50 calories per half. Shrimp contains approximately 27 for 1/2 cup (unpeeled). Salad dressing contains 60 calories. 1. Peel grapefruit, remove segments, discarding seeds and skin and put into a bowl. 2. Add peeled shrimp, leaving 1 unpeeled for garnish. 3. Mix the sugar substitute with the seasonings, then blend in the oil and lemon juice. 4. 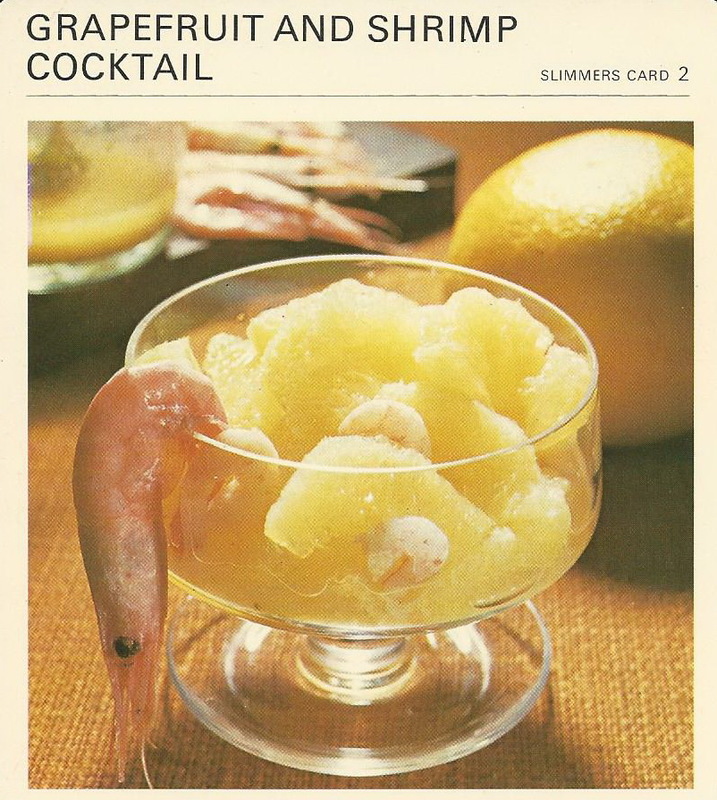 Mix the fruit and fish, then put into a glass bowl and garnish with the whole unpeeled shrimp. TO SERVE: As first course of a meal. NOTE: Hors d’oeuvre to choose are fresh grapefruit or melon without sugar, tomato or unsweetened fruit juices, thin consommé, plain vegetable hors d’oeuvre, shellfish (without mayonnaise). Hors d’oeuvre to avoid are rich thick soups, mixed hors d’oeuvre containing oily dressings, pâté, foods in rich sauces, foods in mayonnaise, pasta and rice dishes.